The United Methodist Church is a Protestant movement and traces its roots back to John Wesley, an Anglican priest in the Church of England in the 1700s. John and his brother, Charles, intended to revitalize the Church of England by forming societies of "Methodists"– so called because the members followed a daily routine of religious observance and social work. Methodism first spread to Ireland and then to America where it officially became its own denomination in 1784. Today United Methodist membership stands at nearly 10 million worldwide (more than 1 million are outside of the United States). Part of the mark of being a United Methodist is that we hold a wide range of theological beliefs. John Wesley said, "As to all opinions which do not strike at the root of Christianity, we think and let think." In general, we agree on the major aspects of theology. We believe in a Triune God: Father, Son and Holy Spirit. We believe in God’s love and forgiveness of all people. We believe in the mystery of salvation through Jesus Christ. And we believe in celebrating the Sacraments of Baptism and Holy Communion. For United Methodists, social consciousness has always gone hand in hand with faith. We believe, with John Wesley, "that the world is our parish." Hence, we support mission and justice work locally, regionally and around the world. We cherish an ecumenical tradition and seek to work together with other Christian denominations as well as other religions. We believe in the dignity of each person and the practice of total democracy in our church’s life. Scripture - United Methodists share with other Christians the conviction that Scripture is the primary source and criterion for Christian doctrine. Through Scripture the living Christ meets us in the experience of redeeming grace. We are convinced that Jesus Christ is the living Word of God in our midst whom we trust in life and death. Tradition - The story of the church reflects the most basic sense of tradition, the continuing activity of God's Spirit transforming human life. Tradition is the history of that continuing environment of grace in and by which all Christians live, God's self-giving love in Jesus Christ. As such, tradition transcends the story of particular traditions. Experience - Some facets of human experience tax our theological understanding. Many of God's people live in terror, hunger, loneliness, and degradation. Everyday experiences of birth and death, of growth and life in the created world, and an awareness of wider social relations also belong to serious theological reflection. A new awareness of such experiences can inform our appropriation of scriptural truths and sharpen our appreciation of the good news of the kingdom of God. Reason - Although we recognize that God’s revelation and our experiences of God’s grace continually surpass the scope of human language and reason, we also believe that any disciplined theological work calls for the careful use of reason. By reason we read and interpret Scripture. By reason we determine whether our Christian witness is clear. By reason we ask questions of faith and seek to understand God’s action and will. The Mission of the United Methodist Church is to make disciples of Jesus Christ. Local churches provide the most significant arena through which disciple-making occurs. - continue the mission of seeking, welcoming and gathering persons into the community of the body of Christ. With Christians of other communions we confess belief in the triune God - Father, Son, and Holy Spirit. This confession embraces the biblical witness to God’s activity in creation, encompasses God’s gracious self-involvement in the dramas of history, and anticipates the consummation of God’s reign. The created order is designed for the well-being of all creatures and as the place of human dwelling in covenant with God. As sinful creatures, however, we have broken that covenant, become estranged from God, wounded ourselves and one another, and wreaked havoc throughout the natural order. We stand in need of redemption. A Triune God - There is but one living and true God, everlasting, without body or parts, of infinite power, wisdom, and goodness; the maker and preserver of all things, both visible and invisible. And in unity of this Godhead there are three persons, of one substance, power, and eternity -- the Father, the Son, and the Holy Ghost. God the Father - We believe in the one true, holy and living God, Eternal Spirit, who is Creator, Sovereign and Preserver of all things visible and invisible. He is infinite in power, wisdom, justice, goodness and love, and rules with gracious regard for the well-being and salvation of men, to the glory of his name. We believe the one God reveals himself as the Trinity: Father, Son and Holy Spirit, distinct but inseparable, eternally one in essence and power. God the Son - We believe in Jesus Christ, truly God and truly man, in whom the divine and human natures are perfectly and inseparably united. He is the eternal Word made flesh, the only begotten Son of the Father, born of the Virgin Mary by the power of the Holy Spirit. As ministering Servant he lived, suffered and died on the cross. He was buried, rose from the dead and ascended into heaven to be with the Father, from whence he shall return. He is eternal Savior and Mediator, who intercedes for us, and by him all men will be judged. God the Holy Spirit - We believe in the Holy Spirit who proceeds from and is one in being with the Father and the Son. He convinces the world of sin, of righteousness and of judgment. He leads men through faithful response to the gospel into the fellowship of the Church. He comforts, sustains and empowers the faithful and guides them into all truth. The Cross - Sin separated all persons from God. Jesus’ death on the cross was an atoning sacrifice, making possible our forgiveness and reconciliation with God. To repent of sin and trust in Jesus Christ are the only requirements for one to receive that salvation made possible by Jesus’ death. Sin - Because of rebellion against God going all the way back to Adam, all persons are inclined toward sin and selfishness. Sin means missing the mark of God’s righteousness; it means to be in rebellion against God, to disobey his laws. A person by strength of will power alone cannot forsake sin and please God. Only through an intervention of God’s grace can a person overcome sin and become part of the Kingdom of God. Salvation - When a person repents of sin and trusts in Jesus Christ as Savior and Lord, that person is forgiven of sin and receives the gift of eternal salvation (right relationship with God). The Holy Spirit takes up residence in that person, teaching and equipping him or her to be a disciple of Christ, and confirming that the person is indeed a child of God. Prevenient Grace - We acknowledge God’s prevenient grace, the divine love that surrounds all humanity and precedes any and all of our conscious impulses. This grace prompts our first wish to please God, our first glimmer of understanding concerning God’s will, and our "first slight transient conviction" of having sinned against God. God’s grace also awakens in us an earnest longing for deliverance from sin and death and moves us toward repentance and faith. Justification and Assurance - We believe God reaches out to the repentant believer in justifying grace with accepting and pardoning love. Wesleyan theology stresses that a decisive change in the human heart can and does occur under the prompting of grace and the guidance of the Holy Spirit. In justification we are, through faith, forgiven our sin and restored to God’s favor. This righting of relationships by God through Christ calls forth our faith and trust as we experience regeneration, by which we are made new creatures in Christ. This process of justification and new birth is often referred to as conversion. Such a change may be sudden and dramatic, or gradual and cumulative. It marks a new beginning, yet it is part of an ongoing process. Christian experience as personal transformation always expresses itself as faith working by love. Our Wesleyan theology also embraces the scriptural promise that we can expect to receive assurance of our present salvation as the Spirit "bears witness with our spirit that we are children of God." Sanctification and Perfection - We believe sanctification is the work of God's grace through the Word and the Spirit, by which those who have been born again are cleansed from sin in their thoughts, words and acts, and are enabled to live in accordance with God's will, and to strive for holiness without which no one will see the Lord. Faith and Good Works - We believe good works are the necessary fruits of faith and follow regeneration but they do not have the virtue to remove our sins or to avert divine judgment. We believe good works, pleasing and acceptable to God in Christ, spring from a true and living faith, for through and by them faith is made evident. Service to the World - We insist that personal salvation always involves Christian mission and service to the world. By joining heart and hand, we assert that personal religion, evangelical witness, and Christian social action are reciprocal and mutually reinforcing. Scriptural holiness entails more than personal piety; love of God is always linked with love of neighbor, a passion for justice and renewal in the life of the world. Nurturing and Serving of the Church - We emphasize the nurturing and serving function of Christian fellowship in the Church. The personal experience of faith is nourished by the worshiping community. For Wesley there is no religion but social religion, no holiness but social holiness. The communal forms of faith in the Wesleyan tradition not only promote personal growth; they also equip and mobilize us for mission and service to the world. Baptism - Baptism is not only a sign of profession and mark of difference whereby Christians are distinguished from others that are not baptized; but it is also a sign of regeneration or the new birth. The Baptism of young children is to be retained in the Church. Communion - The Supper of the Lord is not only a sign of the love that Christians ought to have among themselves one to another, but rather is a sacrament of our redemption by Christ’s death; insomuch that, to such as rightly, worthily, and with faith receive the same, the bread which we break is a partaking of the body of Christ; and likewise the cup of blessing is a partaking of the blood of Christ. The body of Christ is given, taken, and eaten in the Supper, only after a heavenly and spiritual manner. And the mean whereby the body of Christ is received and eaten in the Supper is faith. Social Justice - The United Methodist Church has a long history of concern for social justice. Its members have often taken forthright positions on controversial issues involving Christian principles. Early Methodists expressed their opposition to the slave trade, to smuggling, and to the cruel treatment of prisoners. The Social Principles are a prayerful and thoughtful effort on the part of the General Conference to speak to the human issues in the contemporary world from a sound biblical and theological foundation as historically demonstrated in United Methodist traditions. They are intended to be instructive and persuasive in the best of the prophetic spirit. The Social Principles are a call to all members of The United Methodist Church to a prayerful, studied dialogue of faith and practice. We commit ourselves to the rights of men, women, children, youth, young adults, the aging, and people with disabilities; to improvement of the quality of life; and to the rights and dignity of racial, ethnic, and religious minorities. The Natural World - All creation is the Lord's, and we are responsible for the ways we use and abuse it. Water, air, soil, minerals, energy resources, plants, animal life, and space are to be valued and conserved because they are God's creation and not solely because they are useful to human beings. God has granted us stewardship of creation. We should meet these stewardship duties through acts of loving care and respect. The Nurturing Community - The community provides the potential for nurturing human beings into the fullness of their humanity. We believe we have a responsibility to innovate, sponsor, and evaluate new forms of community that will encourage development of the fullest potential in individuals. Primary for us is the gospel understanding that all persons are important—because they are human beings created by God and loved through and by Jesus Christ and not because they have merited significance. We therefore support social climates in which human communities are maintained and strengthened for the sake of all persons and their growth. We also encourage all individuals to be sensitive to others by using appropriate language when referring to all persons. Language of a derogatory nature (with regard to race, nationality, ethnic background, gender, sexuality, and physical difference) does not reflect value for one another and contradicts the gospel of Jesus Christ. The Family - We believe the family to be the basic human community through which persons are nurtured and sustained in mutual love, responsibility, respect, and fidelity. We affirm the importance of both fathers and mothers for all children. We also understand the family as encompassing a wider range of options than that of the two-generational unit of parents and children (the nuclear family), including the extended family, families with adopted children, single parents, step families, and couples without children. We affirm shared responsibility for parenting by men and women and encourage social, economic, and religious efforts to maintain and strengthen relationships within families in order that every member may be assisted toward complete personhood. Marriage - We affirm the sanctity of the marriage covenant that is expressed in love, mutual support, personal commitment, and shared fidelity between a man and a woman. We believe that God’s blessing rests upon such marriage, whether or not there are children of the union. We reject social norms that assume different standards for women than for men in marriage. We support laws in civil society that define marriage as the union of one man and one woman. Divorce - God's plan is for lifelong, faithful marriage. The church must be on the forefront of premarital and postmarital counseling in order to create and preserve strong marriages. However, when a married couple is estranged beyond reconciliation, even after thoughtful consideration and counsel, divorce is a regrettable alternative in the midst of brokenness. We grieve over the devastating emotional, spiritual, and economic consequences of divorce for all involved and are concerned about high divorce rates. It is recommended that methods of mediation be used to minimize the adversarial nature and fault-finding that are often part of our current judicial processes. Although divorce publicly declares that a marriage no longer exists, other covenantal relationships resulting from the marriage remain, such as the nurture and support of children and extended family ties. We urge respectful negotiations in deciding the custody of minor children and support the consideration of either or both parents for this responsibility in that custody not be reduced to financial support, control, or manipulation and retaliation. The welfare of each child is the most important consideration. Divorce does not preclude a new marriage. We encourage an intentional commitment of the Church and society to minister compassionately to those in the process of divorce, as well as members of divorced and remarried families, in a community of faith where Gods grace is shared by all. Single Persons - We affirm the integrity of single persons, and we reject all social practices that discriminate or social attitudes that are prejudicial against persons because they are single. Human Sexuality - We recognize that sexuality is God's good gift to all persons. We believe persons may be fully human only when that gift is acknowledged and affirmed by themselves, the church, and society. We call all persons to the disciplined, responsible fulfillment of themselves, others, and society in the stewardship of this gift. We also recognize our limited understanding of this complex gift and encourage the medical, theological, and social science disciplines to combine in a determined effort to understand human sexuality more completely. We call the Church to take the leadership role in bringing together these disciplines to address this most complex issue. Further, within the context of our understanding of this gift of God, we recognize that God challenges us to find responsible, committed, and loving forms of expression. Homosexuality - Homosexual persons no less than heterosexual persons are individuals of sacred worth. All persons need the ministry and guidance of the church in their struggles for human fulfillment, as well as the spiritual and emotional care of a fellowship that enables reconciling relationships with God, with others, and with self. The United Methodist Church does not condone the practice of homosexuality and consider this practice incompatible with Christian teaching. 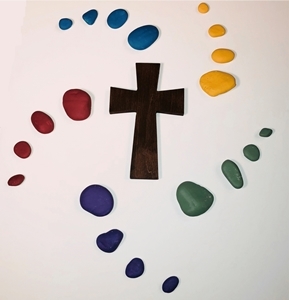 We affirm that God's grace is available to all, and we will seek to live together in Christian community. We implore families and churches not to reject or condemn lesbian and gay members and friends. We commit ourselves to be in ministry for and with all persons. Family Violence and Abuse - We recognize that family violence and abuse in all its forms—verbal, psychological, physical, sexual— is detrimental to the covenant of the human community. We encourage the Church to provide a safe environment, counsel, and support for the victim. While we deplore the actions of the abuser, we affirm that person to be in need of God's redeeming love. Abortion - The beginning of life and the ending of life are the God-given boundaries of human existence. While individuals have always had some degree of control over when they would die, they now have the awesome power to determine when and even whether new individuals will be born. Our belief in the sanctity of unborn human life makes us reluctant to approve abortion. But we are equally bound to respect the sacredness of the life and well-being of the mother, for whom devastating damage may result from an unacceptable pregnancy. In continuity with past Christian teaching, we recognize tragic conflicts of life with life that may justify abortion, and in such cases we support the legal option of abortion under proper medical procedures. We cannot affirm abortion as an acceptable means of birth control, and we unconditionally reject it as a means of gender selection. We oppose the use of late-term abortion known as dilation and extraction (partial-birth abortion) and call for the end of this practice except when the physical life of the mother is in danger and no other medical procedure is available, or in the case of severe fetal anomalies incompatible with life. We call all Christians to a searching and prayerful inquiry into the sorts of conditions that may warrant abortion. We commit our Church to continue to provide nurturing ministries to those who terminate a pregnancy, to those in the midst of a crisis pregnancy, and to those who give birth. We particularly encourage the Church, the government, and social service agencies to support and facilitate the option of adoption. Governmental laws and regulations do not provide all the guidance required by the informed Christian conscience. Therefore, a decision concerning abortion should be made only after thoughtful and prayerful consideration by the parties involved, with medical, pastoral, and other appropriate counsel. Adoption - Children are a gift from God to be welcomed and received. We recognize that some circumstances of birth make the rearing of a child difficult. We affirm and support the birth parent(s) whose choice it is to allow the child to be adopted. We recognize the agony, strength, and courage of the birth parent(s) who choose(s) in hope, love, and prayer to offer the child for adoption. In addition, we affirm the receiving parent(s) desiring an adopted child. When circumstances warrant adoption, we support the use of proper legal procedures. We commend the birth parent(s), the receiving parent(s), and the child to the care of the Church, that grief might be shared, joy might be celebrated, and the child might be nurtured in a community of Christian love. Faithful Care of the Dying - While we applaud medical science for efforts to prevent disease and illness and for advances in treatment that extend the meaningful life of human beings, we recognize that every mortal life will ultimately end in death. Death is never a sign that God has abandoned us, no matter what the circumstances of the death might be. As Christians we must always be prepared to surrender the gift of mortal life and claim the gift of eternal life through the death and resurrection of Jesus Christ. Care for dying persons is part of our stewardship of the divine gift of life when cure is no longer possible. We encourage the use of medical technologies to provide palliative care at the end of life when life-sustaining treatments no longer support the goals of life, and when they have reached their limits. There is no moral or religious obligation to use these when they impose undue burdens or only extend the process of dying. Dying persons and their families are free to discontinue treatments when they cease to be of benefit to the patient. We recognize the agonizing personal and moral decisions faced by the dying, their physicians, their families, their friends and their faith community. We urge that decisions faced by the dying be made with thoughtful and prayerful consideration by the parties involved, with medical, pastoral, and other appropriate counsel. We further urge that all persons discuss with their families, their physicians and their pastoral counselors, their wishes for care at the end of life and provide advance directives for such care when they are not able to make these decisions for themselves. Even when one accepts the inevitability of death, the church and society must continue to provide faithful care, including pain relief, companionship, support, and spiritual nurture for the dying person in the hard work of preparing for death. We encourage and support the concept of hospice care whenever possible at the end of life. Faithful care does not end at death but continues during bereavement as we care for grieving families. Suicide - We believe that suicide is not the way a human life should end. Often suicide is the result of untreated depression, or untreated pain and suffering. The church has an obligation to see that all persons have access to needed pastoral and medical care and therapy in those circumstances that lead to loss of self-worth, suicidal despair, and/or the desire to seek physician-assisted suicide. We encourage the church to provide education to address the biblical, theological, social, and ethical issues related to death and dying, including suicide. United Methodist theological seminary courses should also focus on issues of death and dying, including suicide. A Christian perspective on suicide begins with an affirmation of faith that nothing, including suicide, separates us from the love of God (Romans 8:38-39). Therefore, we deplore the condemnation of people who complete suicide, and we consider unjust the stigma that so often falls on surviving family and friends. We encourage pastors and faith communities to address this issue through preaching and teaching. We urge pastors and faith communities to provide pastoral care to those at risk, survivors, and their families, and to those families who have lost loved ones to suicide, seeking always to remove the oppressive stigma around suicide. The Church opposes assisted suicide and euthanasia. The Social Community - The rights and privileges a society bestows upon or withholds from those who comprise it indicate the relative esteem in which that society holds particular persons and groups of persons. We affirm all persons as equally valuable in the sight of God. We therefore work toward societies in which each person’s value is recognized, maintained, and strengthened. We support the basic rights of all persons to equal access to housing, education, communication, employment, medical care, legal redress for grievances, and physical protection. We deplore acts of hate or violence against groups or persons based on race, ethnicity, gender, sexual orientation, religious affiliation, or economic status. The Economic Community - We claim all economic systems to be under the judgment of God no less than other facets of the created order. Therefore, we recognize the responsibility of governments to develop and implement sound fiscal and monetary policies that provide for the economic life of individuals and corporate entities and that ensure full employment and adequate incomes with a minimum of inflation. We believe private and public economic enterprises are responsible for the social costs of doing business, such as employment and environmental pollution, and that they should be held accountable for these costs. We support measures that would reduce the concentration of wealth in the hands of a few. We further support efforts to revise tax structures and to eliminate governmental support programs that now benefit the wealthy at the expense of other persons. The Political Community - While our allegiance to God takes precedence over our allegiance to any state, we acknowledge the vital function of government as a principal vehicle for the ordering of society. Political Responsibility - The strength of a political system depends upon the full and willing participation of its citizens. We believe that the state should not attempt to control the church, nor should the church seek to dominate the state. Separation of church and state means no organic union of the two, but it does permit interaction. The church should continually exert a strong ethical influence upon the state, supporting policies and programs deemed to be just and opposing policies and programs that are unjust. The Death Penalty - We believe the death penalty denies the power of Christ to redeem, restore and transform all human beings. The United Methodist Church is deeply concerned about crime throughout the world and the value of any life taken by a murder or homicide. We believe all human life is sacred and created by God and therefore, we must see all human life as significant and valuable. When governments implement the death penalty (capital punishment), then the life of the convicted person is devalued and all possibility of change in that person's life ends. We believe in the resurrection of Jesus Christ and that the possibility of reconciliation with Christ comes through repentance. This gift of reconciliation is offered to all individuals without exception and gives all life new dignity and sacredness. For this reason, we oppose the death penalty (capital punishment) and urge its elimination from all criminal codes. The World Community - God’s world is one world. The unity now being thrust upon us by technological revolution has far outrun our moral and spiritual capacity to achieve a stable world. The enforced unity of humanity, increasingly evident on all levels of life, presents the Church as well as all people with problems that will not wait for answer: injustice, war, exploitation, privilege, population, international ecological crisis, proliferation of arsenals of nuclear weapons, development of transnational business organizations that operate beyond the effective control of any governmental structure, and the increase of tyranny in all its forms. This generation must find viable answers to these and related questions if humanity is to continue on this earth. We commit ourselves as a Church to the achievement of a world community that is a fellowship of persons who honestly love one another. We pledge ourselves to seek the meaning of the gospel in all issues that divide people and threaten the growth of world community. Local Churches - A local church is a community of true believers under the Lordship of Christ. It is the redemptive fellowship in which the Word of God is preached by persons divinely called and the sacraments are duly administered according to Christ’s own appointment. Under the discipline of the Holy Spirit, the church exists for the maintenance of worship, the edification of believers, and the redemption of the world. Districts - Districts are definite geographical and administrative subdivisions of an Annual Conference. The number of districts is determined by the Annual Conference. The boundaries of the districts is determined by the bishop after consultation with the district superintendents. A district consists of all the pastoral charges within its boundaries and is under the supervision of a district superintendent. Annual Conferences - The Annual Conference is the basic organizational body in The United Methodist Church. An Annual Conference includes all United Methodist churches in a geographically defined area. Lay and clergy members of the Annual Conference have the right to vote on all constitutional amendments and delegates to General and Jurisdictional Conferences. Members establish the budget for the Annual Conference and vote on all mater related to the organizational life of its agencies and institutions. The Annual Conference members are responsible for the program and administration of the work of the Annual Conference and its local churches. Only clergy members vote on all matters relating to clergy membership and ordination. The membership of the Annual Conference consists of an equal number of lay and clergy members, and at least one lay person from each pastoral charge is to be a member. Our United Methodist Emblem - Known informally as the cross and flame logo but formally known as the denomination's insignia, it has been in use nearly three decades. The insignia is a cross linked with a dual flame. This symbol relates our church to God by way of the second and third persons of the Trinity; the Christ (cross) and the Holy Spirit (flame). Apart from Wesleyan Trinitarian theology and warmth, the flame has two other connotations. The flame suggests Pentecost when witnesses saw "tongues as of fire." And the duality of the flame was meant to represent the merger in 1968 of two denominations: The Methodist Church and the Evangelical United Brethren Church. More information The United Methodist Church and our beliefs can be obtained by clicking on this link to our Official United Methodist Web page.